* The uppermost CH9 is blank, the lower marked with silver pen. As the copper dulls down the contrast with the silver writing will improve and show more clearly. 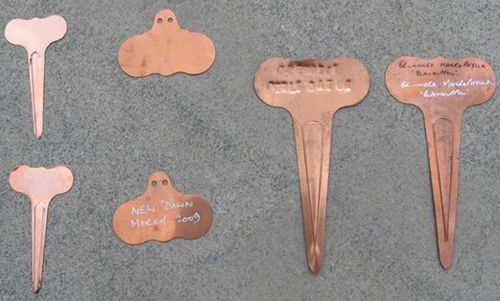 NB NB NB - CW10, CW8 & CH9 are made from thicker copper than CH11 and so are not suitable for DIY embossing.